Have the freedom to personalize your deliveries-when, where and how you want it. With Paxel, you’re always in control. We guarantee your package will arrive within 8 hours. Any pick up after 04:00 PM, will be delivered the following day. Download our app to start shipping. Enter up to 20 airwaybill codes here to start tracking your shipments. 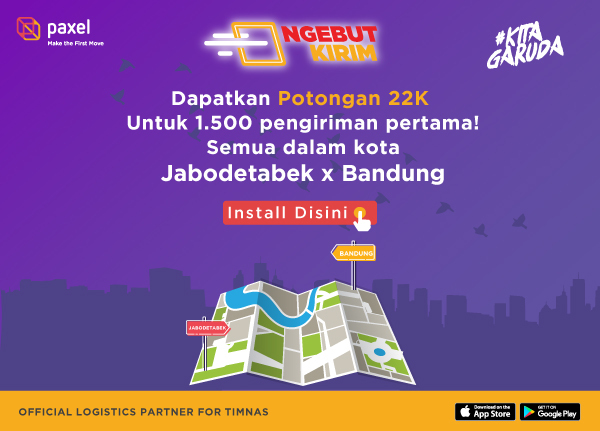 Shop anything, anywhere within and between Jabodetabek, Bandung, other big cities in Java and Denpasar, SAMEDAY delivered. 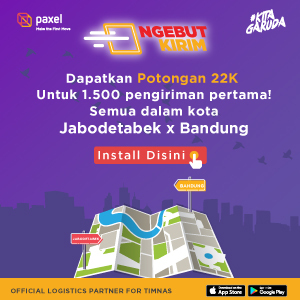 In this fast-moving world, Paxel offers you a SAMEDAY delivery service within Jabodetabek, Bandung, other big cities in Java and Denpasar, and all for a flat fee. Our mobile app makes your delivery experience more convenient, because everything you need is just a few clicks away. Enter your phone number, and we’ll send you a link to download Paxel app along with 100.000 Paxel Credit.